If you are anything like me you may find that you often know things with your head, but don’t always experience them with your heart. It is difficult for me to envision a God that created the universe that also personally cares for me. I know that when Christ died on the cross, He died for me. But even though I believe this to be true, there is a part of me that is disconnected from that truth. Was He really thinking of me when He died? In the middle of an agonizing crucifixion and suffering the torment of being forsaken by the Father, was He really thinking of me? I represent just one soul that is alive today on a planet embittered by war, famine, heartache, homelessness, poverty, and abandonment. My generation is just one of many which have gone before. Lives have begun and vanished. Doubtless billions of people have considered the very same thought that they are just one drop in an ocean of humanity. From a telescope my vision and importance become even smaller. I am just one among billions and our planet is infinitely insignificant in comparison to the entire cosmos. How can God be the Creator and Sustainer and yet also be gentle enough to care for His own? Jesus is frequently pictured in the Scriptures as being a Shepherd with us being the sheep. He has said, “I am the good shepherd: the good shepherd giveth his life for the sheep” (Jn 10:11). Matthew’s gospel portrays the love that the Savior has for His sheep. For the Son of man is come to save that which was lost. How think ye? if a man have an hundred sheep, and one of them be gone astray, doth he not leave the ninety and nine, and goeth into the mountains, and seeketh that which is gone astray? And if so be that he find it, verily I say unto you, he rejoiceth more of that sheep, than of the ninety and nine which went not astray (Mt 18:12-14). How many of you are like me, never picturing yourself as that lost sheep that shivered alone away from the flock? This passage is frequently used to offer hope and consolation to the “lost” among us—the former drug users and alcoholics. They are that “one sheep” that the Shepherd faithfully sought. We picture ourselves safely in the flock staying warm. We might think the special care that the Shepherd showed to the one lost sheep doesn’t really apply to the average person. It was only the spectacularly bad people that Jesus went out of His way to save. But this interpretation ignores the weight of other Scripture that portrays us all as lost and without a Shepherd. “All we like sheep have gone astray; we have turned every one to his own way; and the LORD hath laid on him the iniquity of us all” (Isa. 53:6). Peter uses this passage in writing to faithful Christians, “For ye were as sheep going astray; but are now returned unto the Shepherd and Bishop of your souls” (1 Pet 2:25). That sheep that the Shepherd rescues is not just a homeless person sitting in the last pew at church. That sheep is you or me. The sheep that was lost out in the thickets and briars on a frosty winter night, crying out for the flock, and no one but the Shepherd could save him. 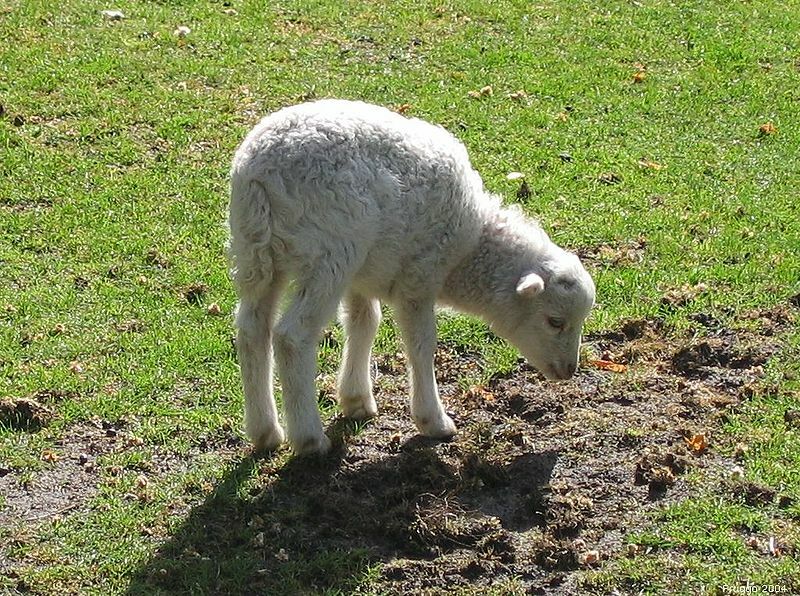 The sheep that Jesus cared enough for that He was willing to die to rescue it. The love of God is not a cerebral concept that we can discuss and analyze. It is meant to be a tangible reality for our lives. Do we really believe in His care for us? Do we truly know the depth of His love? Have we grasped our lostness so that we can experience His Shepherd’s heart?